I was joking around at work this week, and a friend commented that she isn't used to seeing that side of me. She circled her face to example how I'm usually so serious. 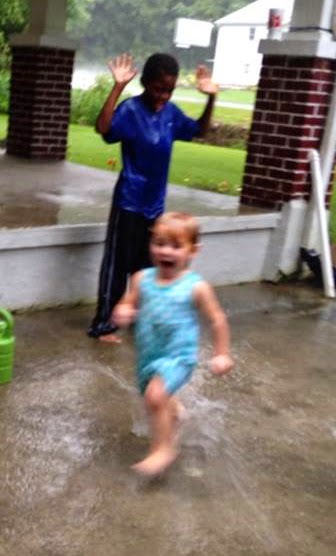 I told her it was game face, usually there so I don't cave under the pressure and burst into tears---I told her that before our return to foster parenting and the stress of difficult love, I was pretty fun. We joked it off and went on with our meeting. But I noticed that I was laughing a bit more. Feeling a little less guilt. Walking a little straighter. My family tells me frequently that I don't laugh. Isaiah just this week said I'm not a "smiler" and that made me sad. I make excuses that I'm just selective with my laughter, and it's true, I am; but I realized that I don't laugh. Enough. I remember silliness and fun. I see it in others and feel jealous. Rex and I used to be impulsive and enjoy life, laugh and goof off. Even in our relationship we've gotten so serious and almost forgotten how to play. We've been bogged down by life's heaviness and I don't like it. But how do you change it- how do you find the other side of yourself. I mean, really- how do you find fun when you're doing regular life like sweeping floors and cleaning up dog poop on a rainy Saturday afternoon. 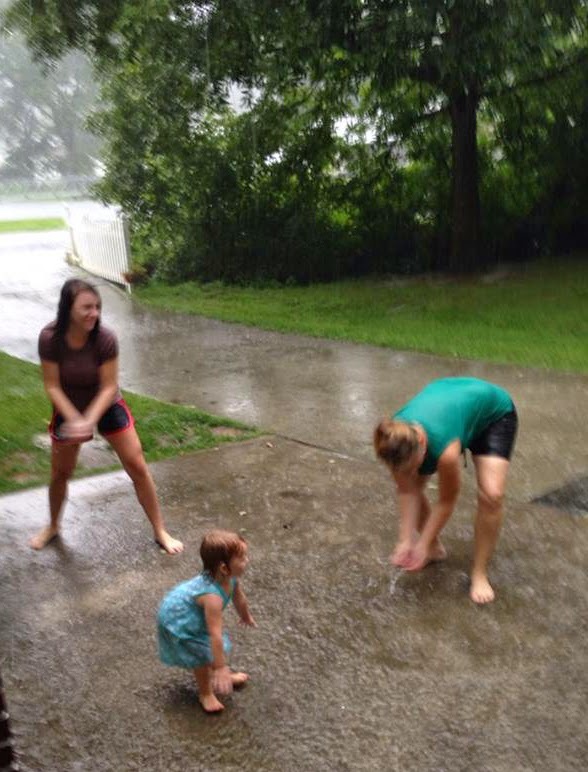 It was easy getting Kendall to play in the rain with me- and not much harder to get her Mommy to join us. 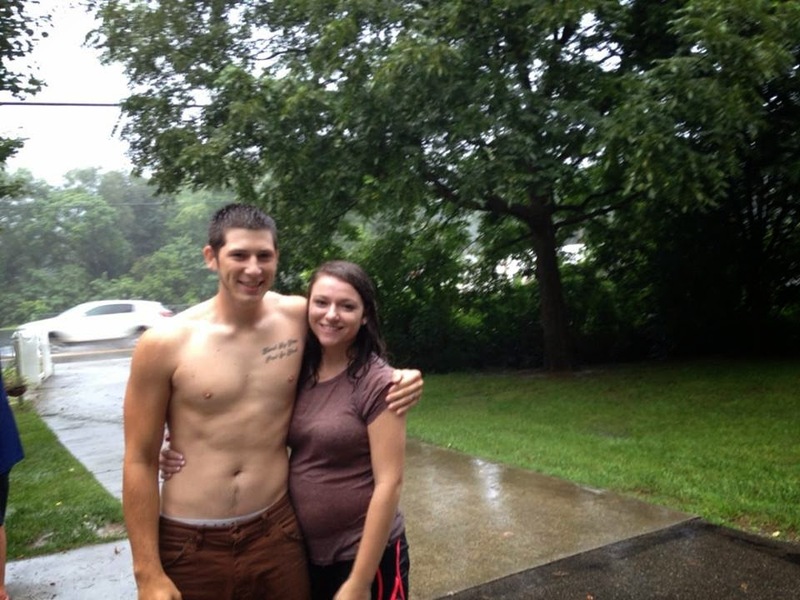 And then the boys came home- Shayne and Isaiah didn't hesitate to join the fun. 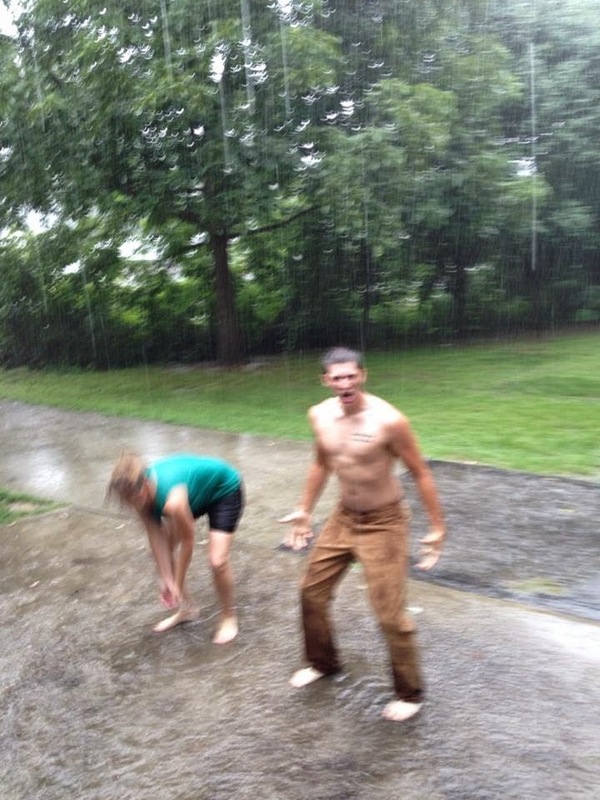 Scooping up water like fools to throw on each other, as if the downpour wan't enough. and finally, after some coaxing Rex joined me to dance, kiss and play- and he made my day! 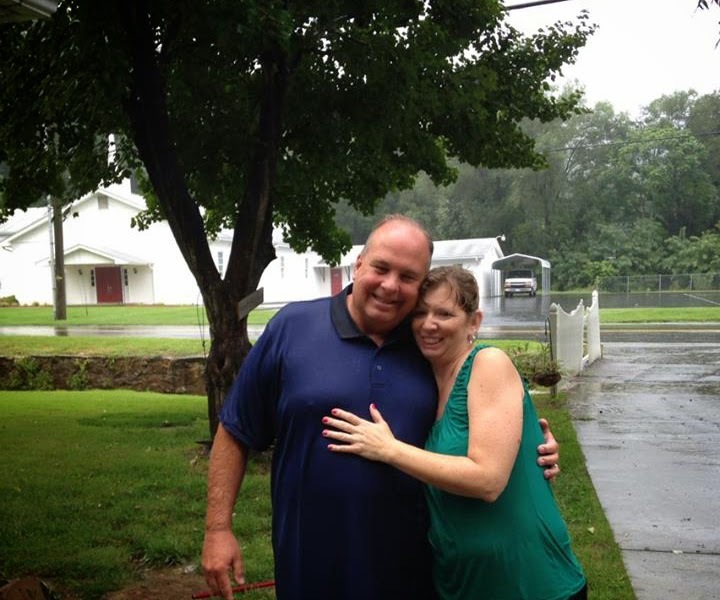 Bucket list- dancing in the rain- Check. 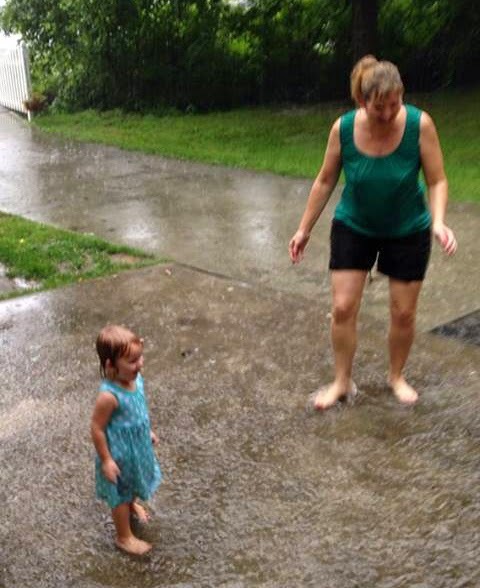 And while I was jumping and playing with my new daughter and grand baby- blinded at times by the stinging drops and the burn of running mascara- I kept thinking about how healing the rain felt and how recently, God is showering us with long needed rest. And a little calm. And a little bit of easy compared to our norm. And while I painfully miss Elijah- I'm remembering how to enjoy the people in front of me. I'm pretty sure we shocked Isaiah today and equally sure he likes the other side of me too- she's been in hiding way too long- and I hope she'll stay a while.